We’ve seen and heard quite a bit about Microsoft Windows 10 Fall Creators Update over recent months but at last it has started to roll out for PCs. Coinciding with the release, Microsoft has published a reminder of the main features present in this latest Windows 10 edition, plus a helpful article explaining how to get the update ASAP, for advanced users. 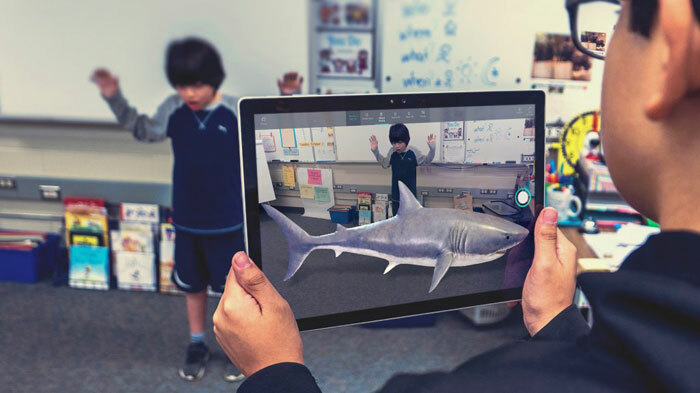 Windows Mixed Reality integration plus Mixed Reality Viewer to view 3D objects mixed into your actual surroundings through your PC’s camera. Photos app, updated with filters, text, 3D effects – with 3D objects, inking, and video clips coming soon. 3D support arriving in Office. Cortana gets enhanced abilities for ‘power commands’ and you can now ask Cortana to shut down, restart, or sleep your PC. OneDrive Files On-Demand (like the old placeholder model). My People communication access via the taskbar plus ‘people first sharing’ and emoji enhanced communications with contacts. Eye control, dictation, narrator, and other accessibility improvements. Microsoft Store unifies the shopping experience on both Windows 10 and Xbox for hardware, games, entertainment, apps, and more. Continue on PC mobility features which work on Android / iOS and your PC. PC Gaming improvements via Game Mode, Mixer broadcasting, new help options, and greater hardware monitoring detail in Task Manager. The first and easiest choice is to simply wait for the rollout to reach your region/system and be auto-downloaded. Microsoft recommends this strategy as the “best experience”. Windows will use your active hours settings to minimise disruptions and / or will ask you to pick a good time for the update to complete. Alternatively you can head on over to the official update site and manually find out if your device is in the initial rollout phase – and prod it to start. 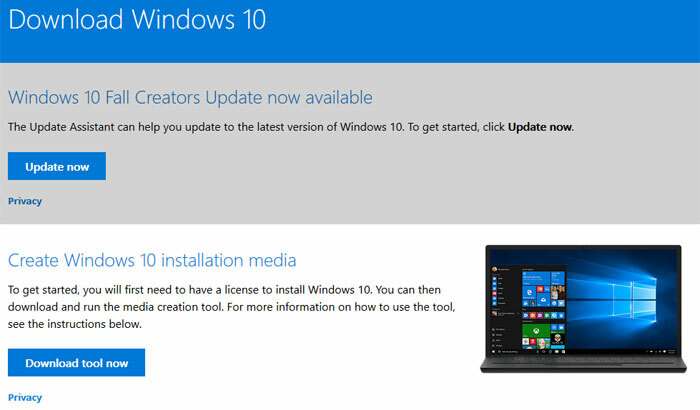 Advanced users can update via the Update Assistant on Microsoft's software download site, or download and run the media creation tool from the same site to perform a clean installation or reinstall of the latest Windows 10 OS. Microsoft asks for any user feedback via its Feedback Hub app and HEXUS would also like to hear of your Fall Creators Update experiences in the comments section below. Well so far I've had a PC, laptop and a tablet pc attempt to do the update and all failed to complete the update and reverted back to the old installation. Not terribly impressed with it so far. My 2 home built PCs went through it yesterday with no issues. does this update modify the Hosts file? because Avira blocked a few attempts to modify Hosts at the 95% or so ‘preparing to install updates’ mark on Feature update to Windows 10, version 1709.
sure it'll be fine though…. edit: seems to be fine. theres a new ‘People’ link next to the notification area - can link to contacts on the taskbar. and a Phone - link to android/iPhone appeared in settings. edge has updated too. not had to update drivers again yet. also another update KB4041994 has appeared wanting to be installed. no info on what that is. Overall, it's been okay. Windows feels snappier and some programs seem to load quicker. I've only had two hiccups. My soundblaster software needed to be reinstalled due to the fact that my headphones didn't work and also I keep randomly keep getting an nvidia overlay message, so I probably need to reinstall geforce experience. Installed the update via Windows Update without any issues last night. Playing a few games and using Lightroom/Photoshop has been flawless so far, will try my Oculus Rift tonight to see if that works as before. So far so good, although other than OneDrive placeholders I'm not seeing many features that are useful for me.